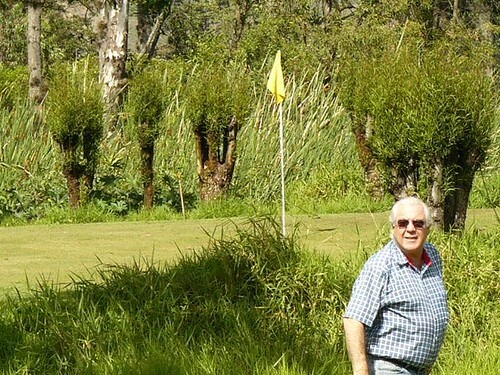 These limited opportunities for playing golf in Ecuador however do include some excellent golf courses. 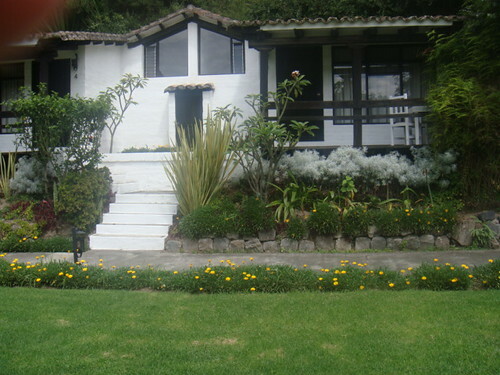 Most of the Ecuador golf clubs have health spas, tennis facilities and more. 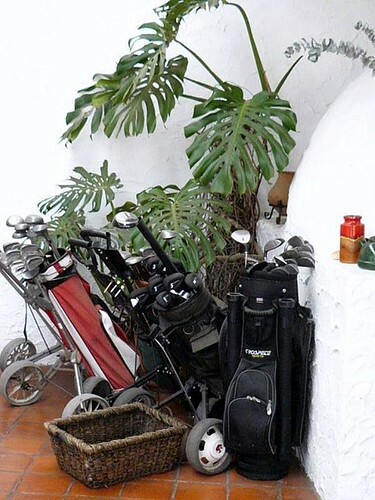 Golf clubs can be hired. 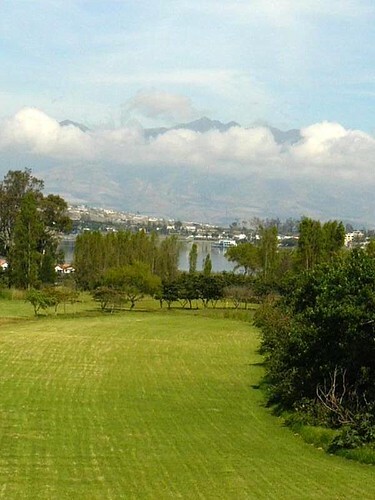 The Quito golf course is near the city. 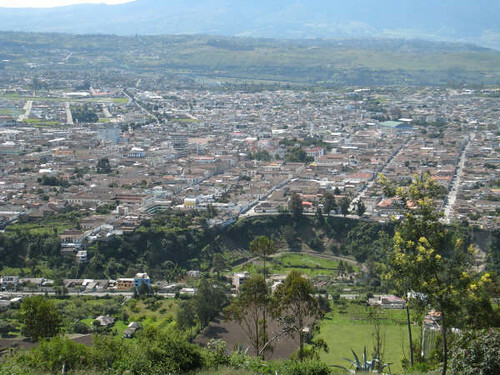 Ecuador.com says the following about the Quito course. 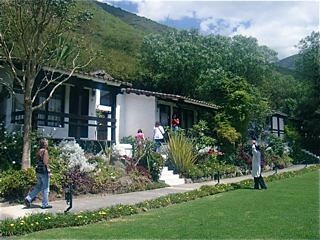 Established in 1947, the Quito club has a spectacular mountain backdrop and it caters for a number of sporting activities, including equestrianism, swimming and tennis and their 18-hole course is laid out in very pleasant but rather undulating parkland to the north of the city. 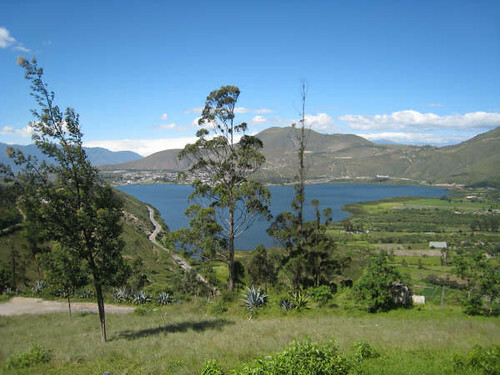 With lush fairways, true greens and many trees, including olive and eucalyptus, Quito is certainly a course well worth playing if you have included Ecuador on your golfing itinerary. Bear in mind if you are ever lucky enough to tee it up here, the rarified atmosphere at more than 9,000 feet above sea level will allow the ball to fly further than you think so club down accordingly, tiger! 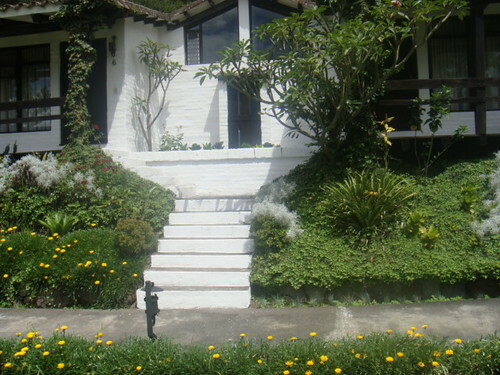 Los Chillos Golf Club and the Los Arrayanes Country Club are outside Quito and are more exclusive clubs. 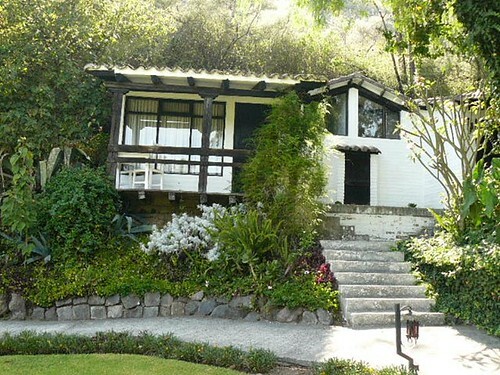 The Los Cerros Golf Club 18 holes. Par 72. 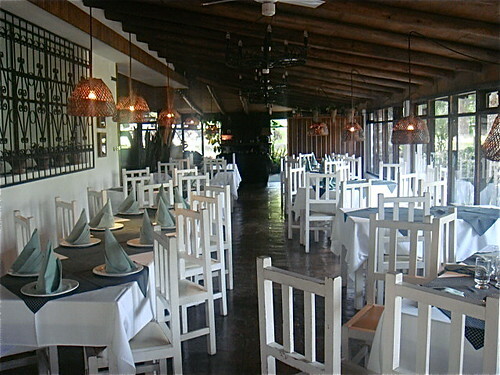 The Los Arrayanes Country Club. 18 holes. 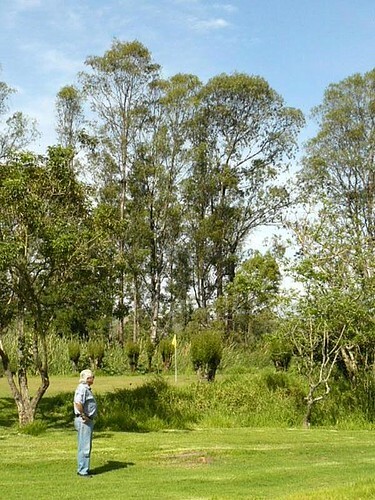 Par 71.
in a 1914 golf tournament in Ecuador. 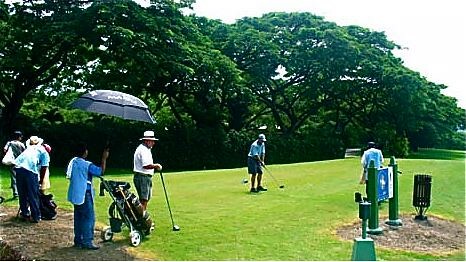 The Guayaquil Country Club has more than just golf including two cement tennis courts, horse riding facilities, squash courts and a swimming pool. 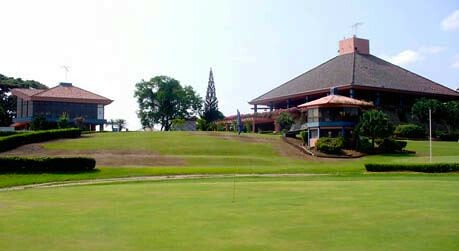 The Guayaquil golf course has eighteen holes with stunning fairways. The greens feature Bermuda teifdwarf and the course rating of 72.1 is guaranteed by the USGA. 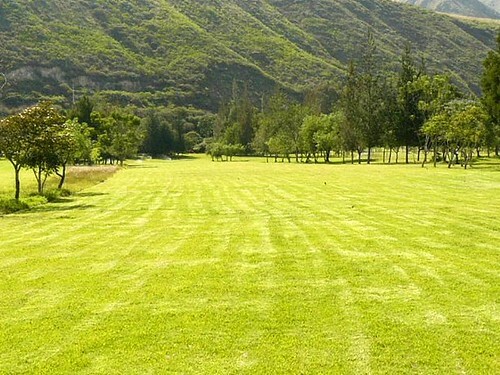 The Cuenca Tennis and Golf Club. 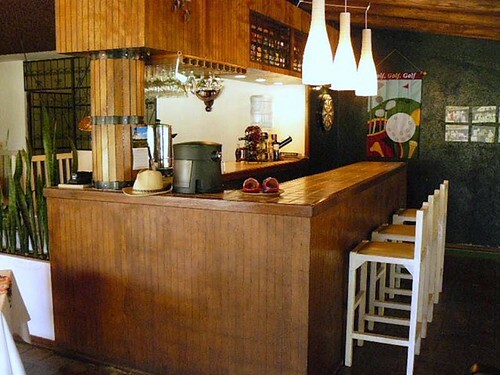 See more about the La Verde Gold Club here. See more on the Villar de Olalla Golf Club here. 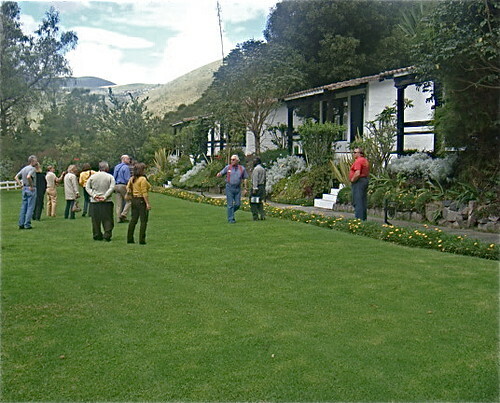 One resort, Hacienda La Carriona, just outside Quito, has had an arrangement allowing guests to play at the Los Arrayanes club. 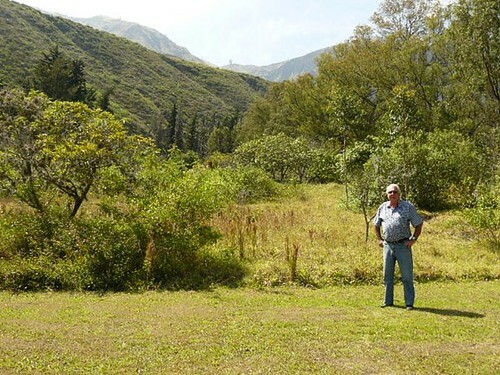 There are also several 9-hole Ecuador golf courses. 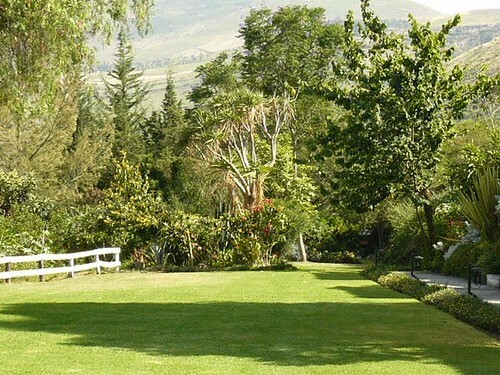 Three Ecuador resorts have 9-hole golf courses. 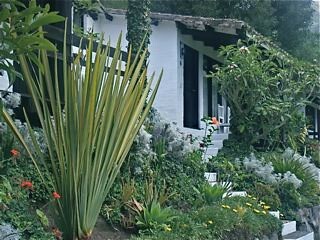 The courses are not very grand but two have wonderful tropical scenery, and the other is very near Ecuador’s Pacific beach. 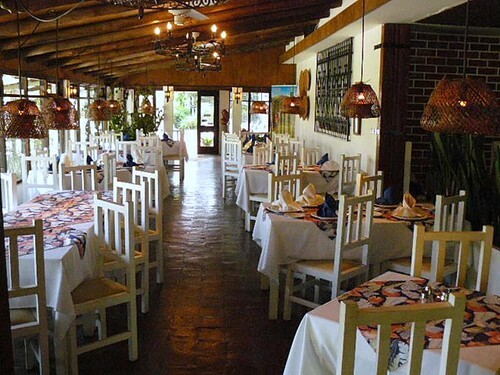 The 9-hole Ecuador beach resort is the Casablanca Beach Hotel & Golf Club. 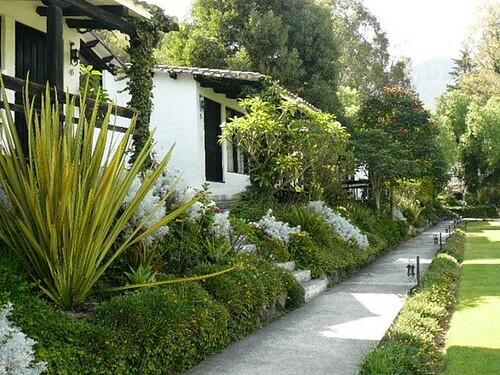 Hacienda Tinalandia is set in the cloud forests west of Quito. Their 9-hole course was designed in the 1970s. On our last visit some years ago the course was very rough but surrounded by a rich botanical forest and a delight for bird watchers. 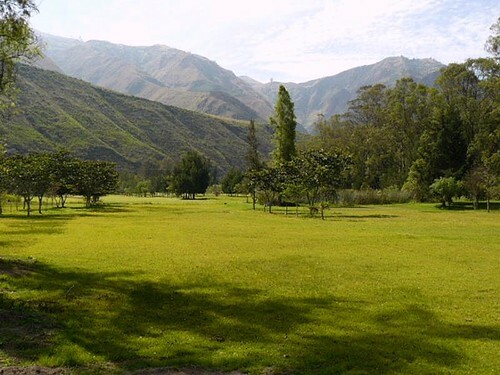 The third nine hole course is at Rancho Totoral Hostería & Laguna Golf Course outside of Ibarra. This small courses is on a 21.39 acre estate and has pitching and putting, 6 greens on a 5 acre area. 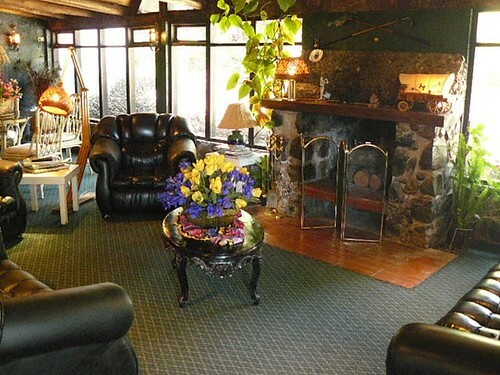 There are six cabins and a complete restaurant and bar. 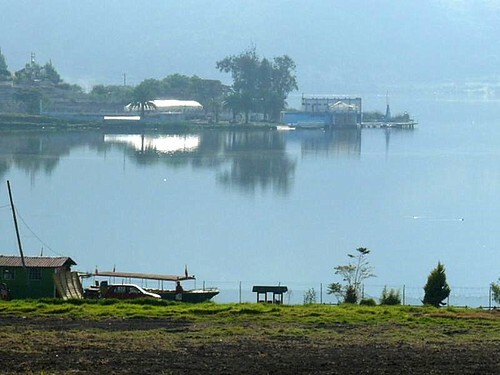 The lake is Laguna Yaguarcocha, just five minutes north of the city of Ibarra and a little more than half hour drive along main highways north from Cotacachi. 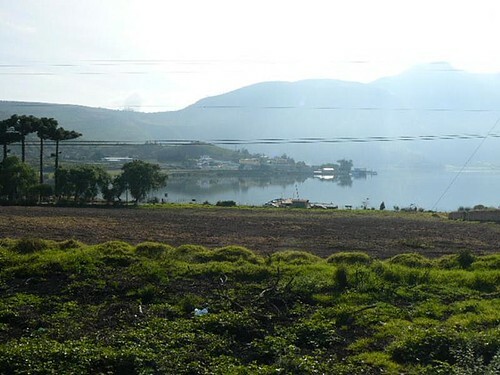 Here’s a shot of one of the fairways below with the lake and mountains in the background. The altitude here is just under 7,000 feet and as such the climate is warm with only the slightest hint of an early morning chill. There is the 44 seat restaurant below and the building it’s inside. 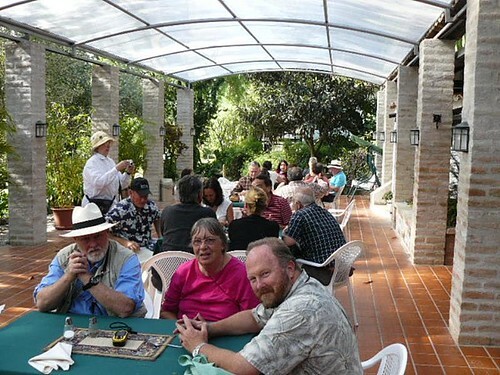 (The patio can seat a further 100 people). 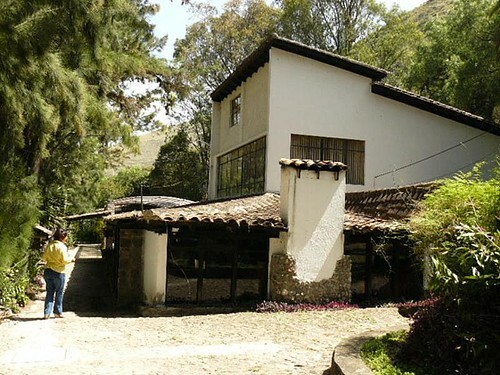 The golf course itself is the only one in the country north of Quito. You can go round and round the course all day long for $25. It’s pretty much a pitch and put course. 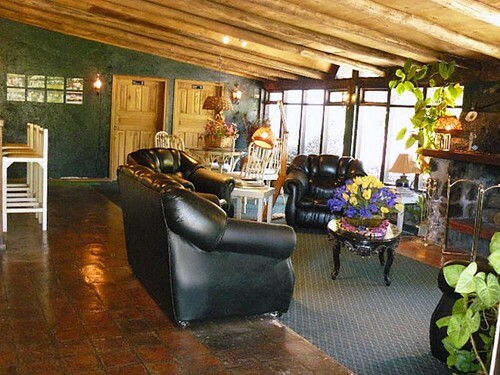 And if you’re really tired then of course you can always sleep the night in one of the adjoining cabins. 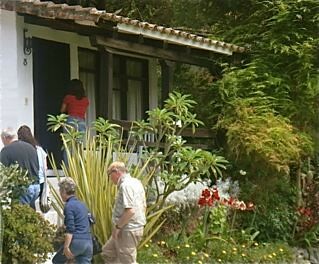 There’s character in this property. Here are a couple of shots of the course. 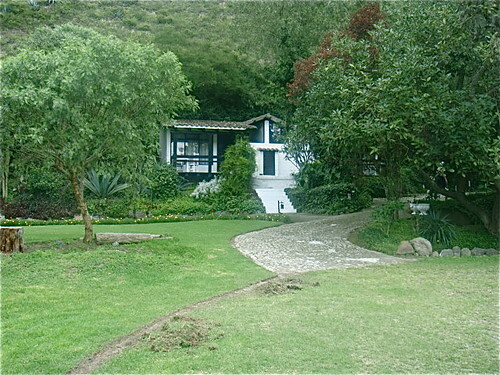 Guest cottages on the first tee. This golf course is for sale. 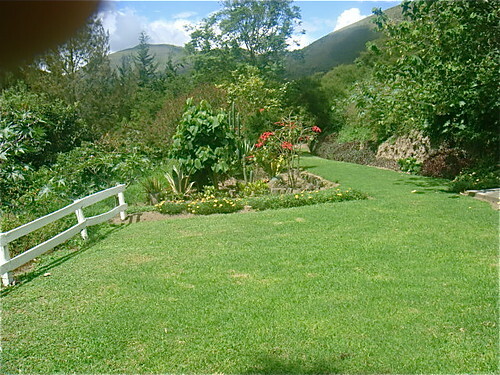 See Ecuador Golf Course for Sale for details.